– falsely claiming to have scanned users Computers and false claiming they find spyware. 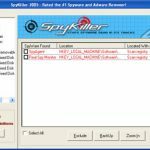 We have tested free version of SpyKiller 2005 on clean system. 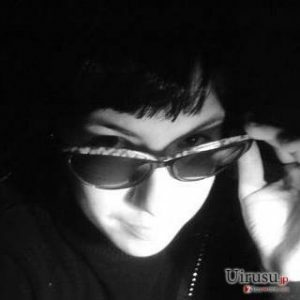 The application has found 2 registry entries and 2 files related to SpyAgent and Real Spy Monitor spyware. However, analysis showed that these objects actually are associated with legitimate software and cannot possess any threat. File undeploy.exe and corresponing registry entry are used to uninstall EditPad text editor. File wshom.ocx, which was recognized as Real Spy Monitor, is an essential component of Windows Scripting Host that is a part of Microsoft Windows operating system. Screenshot provided below proves that SpyKiller 2005 uses false positives. Free version doesn’t remove malware it found. Nevertheless, developers call it trial. The real trial should provide all the functions available in full version, but work only for certain period of time. Tested free version definitely wasn’t a trial. 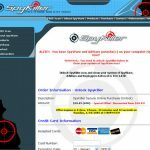 Domains associated with SpyKiller 2005 are spykiller.com, spykillerdownload.com, swanksoft.com, safer-networking.com and free-spyware-scan.com. Most of them use deceptive advertising. For instance, the “Purchase” page contain the alert: “You have SpyWare and AdWare parasite(s) on your computer right now!”. This message appears even if the system is absolutely clean. See another screenshot. Program’s interface is very similar to those found in several other antispyware programs. 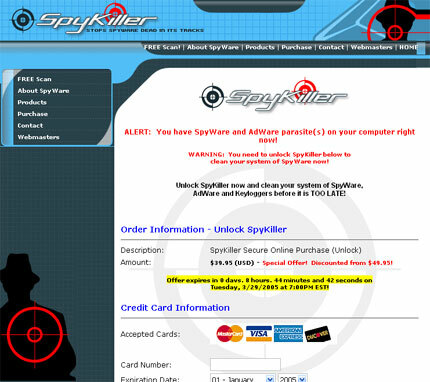 The application uses the same spyware definitions database and produces similar scan results. 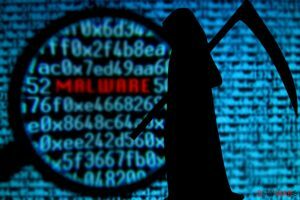 It is a clone of #1 Spyware Killer, SpyLax, SpyFirewall and others. It also is a knockoff of reputable Ad-Aware antispyware. We DO NOT recommend SpyKiller 2005. This entry was posted on 2014-05-09 at 14:10 and is filed under Corrupt Anti-Spyware, Software.